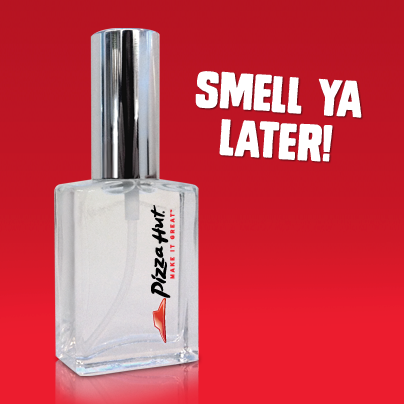 Love smelling like cardboard and bad pizza? Well Pizza Hut perfume might be just the scent for you. Yes pizza fans, this is real. "What began as a fun Facebook post - with Pizza Hut asking fans just how much they loved the smell of a box of Pizza Hut pizza being opened - has materialized into Pizza Hut becoming the latest celebrity to launch it's own perfume." Finally I know what I'm getting my wife for the holidays.